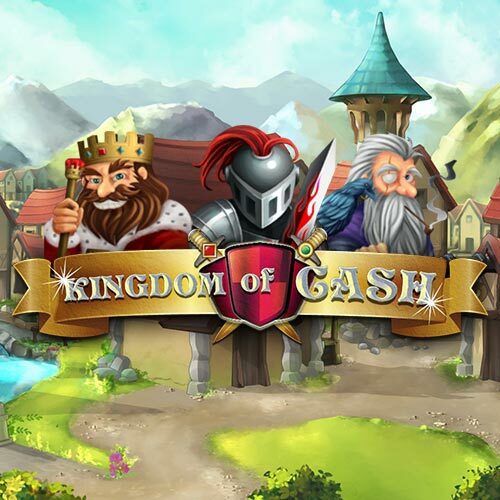 Worm your way into the royal castle and establish yourself as a member of the noble gentry in this online new slots game. This 5 reel enables you to rub shoulders with knights of the realm and kings as you embark on a quest that could aid you in winning 100x your stake. The backdrop of this slot-game boasts of a large fortified castle with a winding stream making its way between basic wooden buildings. To think, if you were to rack up a small fortune in this primitive slot-game, you’ll be able to afford the more luxurious items that were enjoyed then, this would include wine, linen, and iron! See more games on EasySlots.com. This game features 5 reels and 25 pay lines and you can use your command bar to adjust your initial bet and how many pay lines you want to activate. Betting starts at just 1p, and with a max bet of £50, all types of gamblers have evidently been catered for – safe or risky, which one are you? For those bigger risk-takers that would slay a dragon providing the suitable equipment was there, there is the chance to double your last payout instantly with the risk of losing it entirely if unsuccessful. All the rewards you reap are determined by the combinations you land and the size of your original bet! The symbols on the reels will be familiar to you with the 10, J, Q, K, and A representing the lower values with up to just 300 coins up for grabs here. However, if you fancy yourself as a knight and saving the princess, you can expect to receive up to 5,000 coins directly from the King’s pocket. This is achievable by matching 5 knights on an activated pay-line, set up by you at the beginning of the game. Other high-value symbols that you will come across include the blue and pink gems, the goblin and sorcerer. Keep your eyes peeled for the princess symbol as she represents the wild card and she can substitute for all the other symbols listed above, and as an added extra, she doubles the value of each combination she appears in. 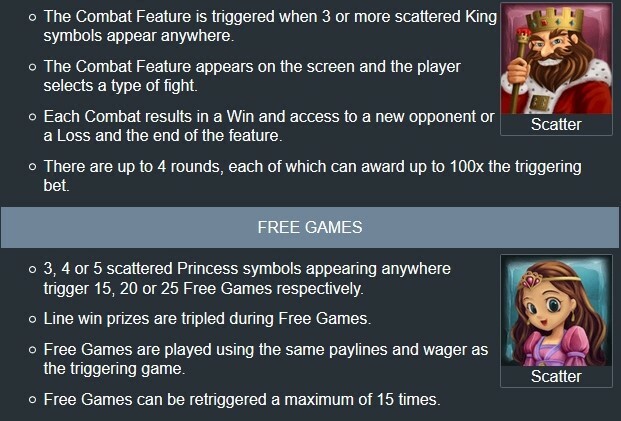 However, she also acts as the scatter symbol, 3 or more princesses scattered across the screen and you will be awarded up to 25 free spins. We also often run various UK slot promo with this game. 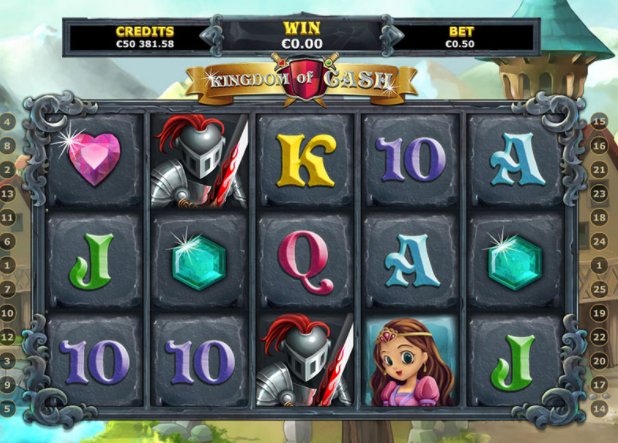 With a minimum bet of just 1p, you are giving yourself the best opportunity to showcase yourself as a knight, save that princess and receive an extra jackpot as a bonus for all your hard work. Which one will you be? Stand on the sidelines and play it safe or be catapulted straight into the action and risk more for an even greater reward. An equally great game is Enchanted Prince slot.